Jungle Cafe in Greenpoint, Brooklyn has become completely kosher and vegan. The menu offers all kinds of healthy and unique dishes. 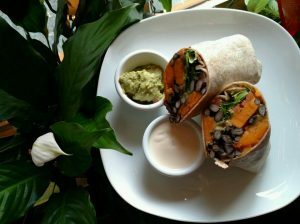 Entrees include the Beet Burger (with veganaise, pickle tickle, lettuce, tomato, sprouts, on organic whole wheat or GF bun), the Jungle Burrito (black beans, Mexican rice, pico de gallo, guacamole, vegan cheese, mixed greens in a flour tortilla), and others. Jungle Bowls include the Mac ‘N Cheese Bowl with Southern Greens (vegan cheese pasta with sautéed seasonal greens, onion, and vegan bacon, with a corn muffin and vegan butter), the Macro Bowl (quinoa, red beans, seasonal vegetables, kale salad, sauerkraut salad, avocado, with Jungle dressing), and the Burrito Bowl. Other items on the menu are Jungle tacos, children’s dishes, salads, soup, and kimchi. Chocolate chip cookies, chocolate mousse, raw key lime pie, cashew cheesecake, coconut cream pie, chocolate cream pie, walnut date truffles, carrot cake and muffins are all available for dessert. The restaurant also offers a large variety of juices, smoothies, and other beverages. Hours of operation are Monday-Thursday from 11:30am-9:30pm, Friday-Saturday from 11:30am-10pm, and Sunday from 12pm-5pm. 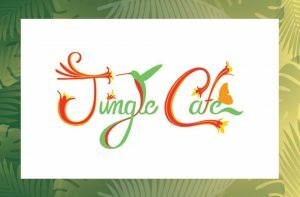 Jungle Cafe is certified by Rabbi Andre Makek of RAM Kosher.